During the summer months, water used by a household usually gets doubled. This is because this is the time when we water our gardens and lawns, wash cars, and fill swimming pools. We make the most of the great weather to do these things. When you water in the morning, do it early – before 9 a.m. if possible. This will reduce evaporation and prevent the leaves from scorching from the sun. You should also do your watering when it is a particularly calm day to avoid wind drift. You should water slowly to make sure that the soil and the plants get to absorb the water well. Inspect your hose or your irrigation system every once in a while. Check for any leaks or blockages. When choosing an irrigation system, go for the most efficient one. For example, a drip irrigation system delivers water directly and slowly to the roots beneath the soil, thus promoting deeper roots. There are also soaker hoses that you can set up by the base of the plants on the ground to deliver water where it is needed and reduce evaporation. You should set up your sprinkler carefully to avoid wasting water on your driveways and patios. Also, use a sprinkler with a timer and sprays really close to the ground. You can try collecting rainwater that comes from your roof. Have a barrel or any large container with an insect screen.Make sure it is covered and do not save it for more than a few days, though. To make sure your lawn is watered sufficiently (2.5 cm per week), place a tuna can while you apply water across your lawn’s surface. Time how long it takes for the water to reach the top of the can. Set the timer of your sprinkler to make sure you get just the right amount. Remember not to water your lawn excessively. Do not trim your lawn too short. It should be no lower than 6 cm to ensure that the roots are shaded and be able to absorb water better. You can opt for a lush and colourful garden that requires little maintenance and water by following the principles of xeriscaping – an approach where a landscape is designed so that their water requirements correspond to local conditions. This is especially useful if you are from a region with very little rainfall. 10. Group plants that have the same water needs for a more efficient watering. For example, you should put together in mulch beds your perennials and shrubs. These are very simple steps that you can follow to save water in your garden or lawn. 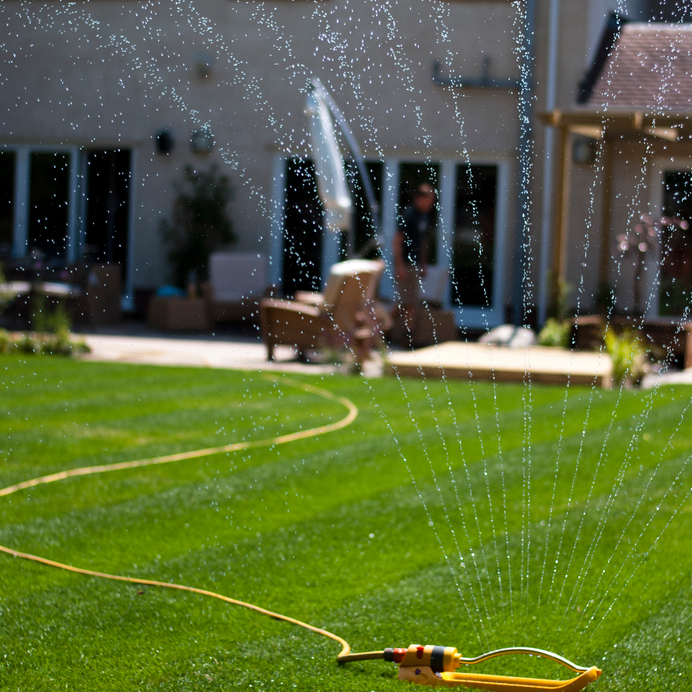 Saving water does not mean you have to give up having a good lawn. This entry was posted in Real Estate Tips and tagged garden, home maintenance tips, home tips, Home Value, lawn. Bookmark the permalink.